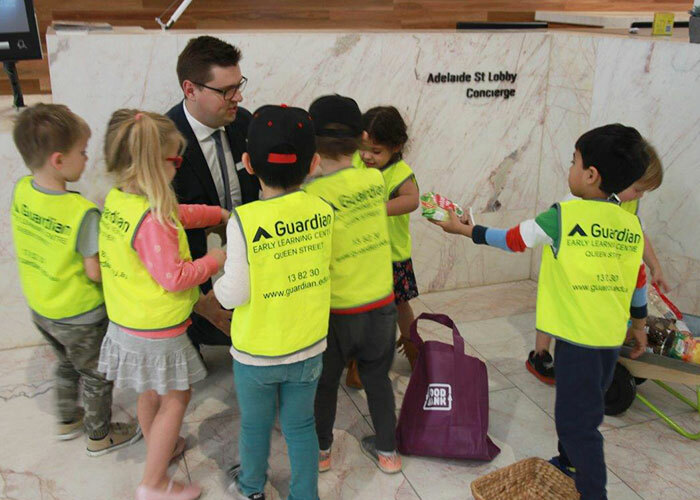 In early August, the Guardian Early Learning – Queen Street community were involved in supporting Queensland’s largest hunger relief organisation – Foodbank. One in six Australians report having experienced food insecurity in the last 12 months meaning that there was at least one time where they didn’t have enough food for themselves or their family and couldn’t afford to buy more. 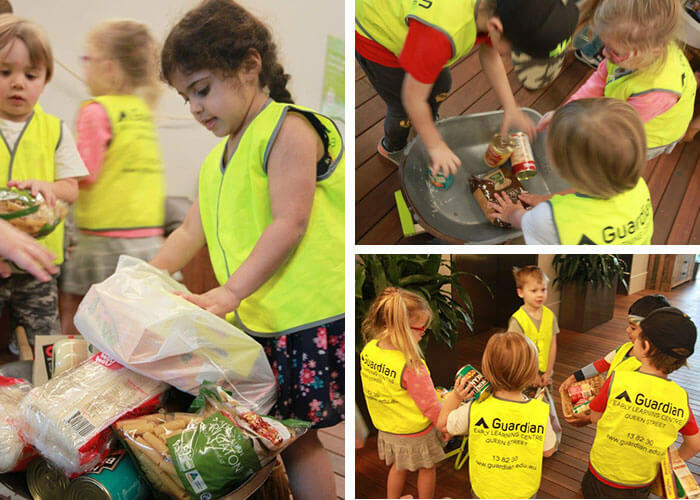 Foodbank Queensland is the charity behind the charities representing 75% of the food distributed each week by 300 welfare agencies and 200+ schools. They are the bridge between the growers, manufacturers and retailers with the logistics, infrastructure and network able to reach the 100,000 vulnerable Queenslanders in need each week. To support this wonderful cause, the 480 Queen community and Guardian Queen Street collected non-perishable food for Foodbank during the first two weeks of August. There were drop off points at the Queen and Adelaide Street concierge desks and throughout designated company locations too – as well as one at the centre. Everyone was encouraged to donate non-perishable goods to the cause and by the end of the two weeks the donation box was overflowing with generous donations made by families and educators! 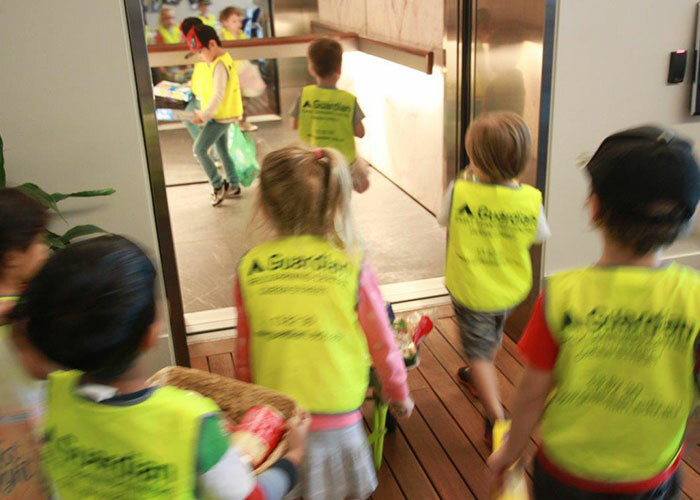 Dressed safely in their hi-vis vests, the children filled boxes, baskets and even a wheelbarrow full of the delicious donations and marched them down to the concierge who was thrilled with the sheer volume of food and the children’s contagious enthusiasm. Through collecting donations for Foodbank, we engaged children in discussions about those less fortunate than ourselves and the importance of being community-minded citizens. It was fantastic to see the Guardian Early Learning – Queen Street community get behind this charity and we are looking forward to running more initiatives at the centre in the near future. Well done, Queen Street! 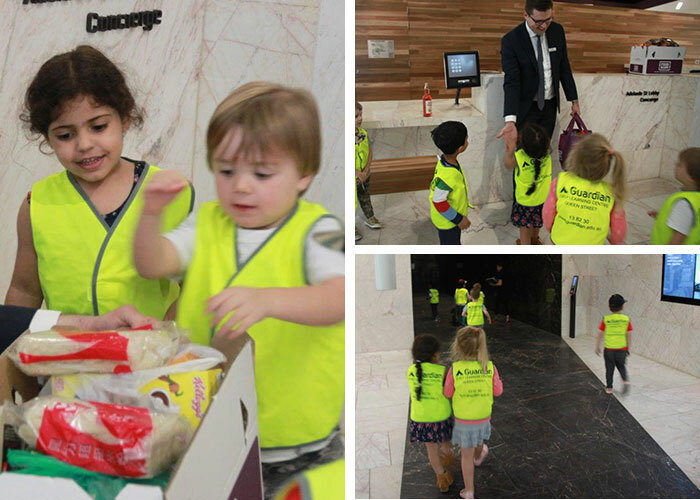 To find out more about this fantastic early learning centre in Brisbane and to book yourself in for a tour, head here.